The first thing you’ll notice about Boulder is the view. Whether you’re driving west from Denver into town or driving north from Golden, you can’t miss the breathtaking view of the snow-capped mountains as the stunning backdrop of the city. Boulder offers everyone a view of the mountains, plus an exceptional standard of living, a health and fitness-focused culture, and the youthful energy of a college town. Considering a move to Boulder? Here’s a few things you should know about what it’s like to live here. 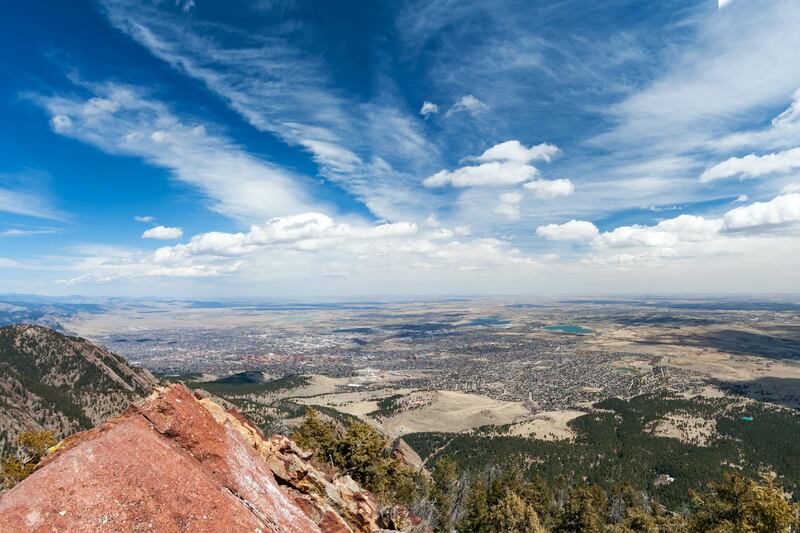 Boulder is often lauded as one of the best cities in the United States to live. National Geographic, working with scientists at Gallup, even ranked it the happiest city in the United States based on 15 metrics. Whether you live in North Boulder, Downtown next to Pearl Street, or on University Hill, aka The Hill, Boulder moves at its own, more relaxed pace. People in Boulder are friendly and new residents may be surprised by how often they find themselves having a quick chat with people they meet around town. Resident Carrie Smith, the creator of Hashtag Colorado Life who moved to Boulder from Texas, agrees that Boulder’s quality of life makes living here worth the higher costs. And that price tag is quite high. According to a CBS report, Boulder is one of the least-affordable metro areas in the U.S., with median home price in the mid $500s as of 2018. If you’re looking to get fit and stay fit, you’ll be in great company in Boulder. Colorado is known as one of the fittest states in the country with Boulder being one of the fittest cities. Many athletes from around the world move to Boulder to train at altitude. 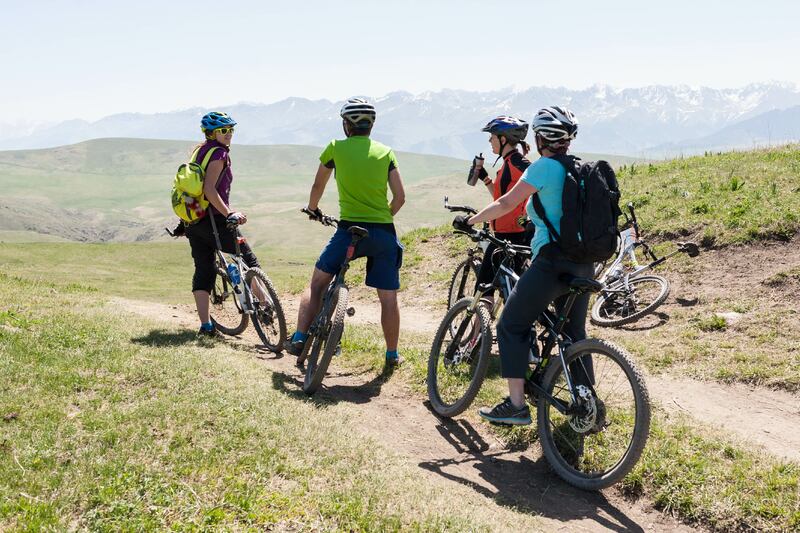 Boulder offers year-round opportunities to stay fit and enjoy the outdoors. The city hosts Bolder Boulder, one of the largest 10K races in the world. Over 50,000 racers descend on the city during Memorial Day Weekend for a day of fun as they compete alongside some of the world’s most competitive runners. Residents also enjoy access to numerous gyms, trails, and bouldering (both indoor and outdoor). There’s even a bike path where cyclists can ride from Boulder to Denver. University of Colorado, Boulder with the Rocky Mountains in the background. 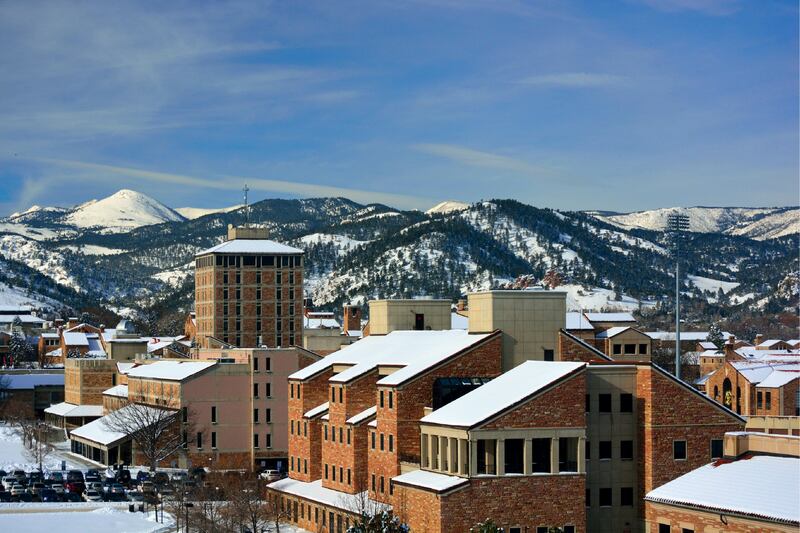 Home to the University of Colorado Boulder, non-CU students enjoy access to world-class programming such as concerts, the Conference of World Affairs, the Colorado Shakespeare Festival, and buskers along the Pearl Street Mall. The number of residents swells during the school year and drops significantly during the summer months when the students return home. The student population presents many opportunities for homeowners who would like to rent out their properties to well-vetted student renters. Neighborhoods that tend to be student heavy include University Hill, Martin Acres, and some parts of Central Boulder, which includes the Pearl Street Mall area. When the students leave for the summer, tourists descend upon Boulder, giving the city a different type of energy. Depending on where you live in Boulder and your lifestyle, you may find that you don’t really need a car. The city is compact and has a robust public transportation system with cheekily named buses that will HOP, SKIP, and JUMP you to your next destination. For those considering getting an electric car, there are charging stations throughout town. And there are several car share programs that operate within the city. These programs include both for profit and nonprofit car share organizations such as eGo CarShare or ZipCar. One thing to be aware of if you decide to forgo a car: Boulder has limited transportation options going into the mountains. While the neighboring town of Nederland has frequent bus access (and a ski resort an hour away), you’ll need a car if you’re looking to spend a significant amount of time exploring the mountains. If you live in the Mapleton Hill area, you’re within walking distance of Downtown’s Pearl Street Mall, which is arguably the heart of Boulder. 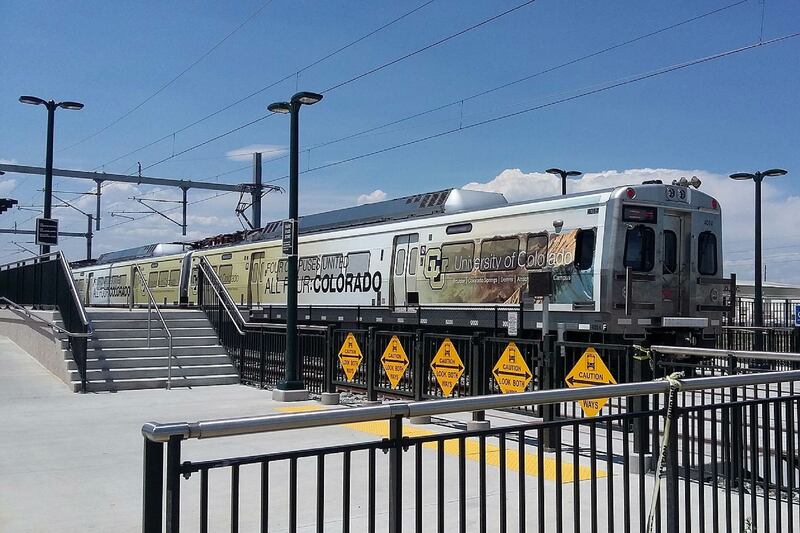 Gunbarrel is a bit further to the North East and while it has access to public transit, it may be a good idea to have a car if you decide to live in that area. If you’re an entrepreneur looking to launch a food product, a cool service, or a digital innovation, Colorado is considered a small business-friendly state. Boulder is home to numerous entrepreneurs and their well-known products, such as Justin’s Peanut Butter Cups and Izze Sparkling Juices. Different organizations help nurture these burgeoning businesses, both in Boulder and in Denver; it’s not unusual for people in Denver to belong to business organizations in Boulder and vice-versa. Denver-based organizations include Women Who Startup, Denver Founders, and Women of Denver. Boulder-specific organizations include 1 Million Cups Boulder and various startup-centric Meetup.com groups. If you’re looking for a conference to attend, Denver Startup Week is a free, huge Denver-based conference focused on supporting startups and connecting entrepreneurs with venture capital dollars, great employees, and resources to grow their mission. Coloradans are reluctant to share how nice the weather actually is here. There are over 300 days of sunshine a year, infrequent rain, and snow that melts pretty quickly after each snowstorm. And, with low humidity, the cold weather months aren’t bad at all. Hail storms: Colorado gets a significant amount of hail. As you’re looking at insurance policies for your home, spend some time looking at your hail coverage. Flooding: In 2013, Colorado experienced once-in-a-millennia flooding with Boulder experiencing a significant amount of damage. Being nestled at the base of the mountains in a valley with a river that runs through it, flooding is something that may happen again in the future. Prepare to have some frank conversations about flood insurance and flood-prone areas during the homebuying process. Chinook Winds: Boulder can be incredibly windy at times, especially during the winter months when the mountains are constantly buffeted by the Chinook winds. What are they? They occur specifically during the winter months and are actually warming winds during that time of year. “Sometimes the wind moves faster than the cars going the speed limit,” Carrie Smith said. In the not so distant past, Colorado was a mecca of great steaks and nothing else. Fortunately, those days are over. Bon Appetit ranked Boulder as America’s Foodiest Town back in 2010, and the food scene here is still thriving. Many restaurants here emphasize the importance of locally sourced products. Restaurants such as Frasca, Blackbelly Market, and Corrida are sure to comfort those fine dining folks moving in from larger cities such as New York and L.A. who are worried about finding good food. Restaurants such as The Mediterranean (often referred to as The Med), SALT, and Bramble and Hare offer fine dining that’s a little more casual. And if you’re vegan, don’t worry: Boulder was recently ranked as one of the top cities for vegan friendly restaurants. Boulder is a wonderful town to live in with a beautiful view, great weather, and quality of life that many people are looking for.